A short but detailed film that shows the labour intensive processes involved in hand-forging a simple knife. You really get a sense of the sheer hard work that goes into each part of the process and the craftsmanship of the knife maker. 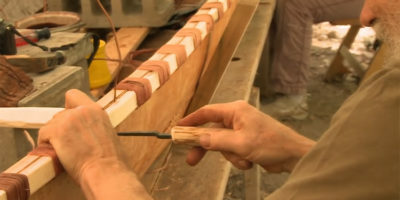 The finished knife is a superb example of this traditional craft.